Discipline is probably one of the most misunderstood words in the parenting vocabulary. When parents talk of discipline they often think of punishments like time-outs, consequences, confiscating toys or even smacking children. So when Elizabeth Pantley’s book, The No-Cry Discipline Solution was published, I asked her to share with me about her own personal journey, and the reasons why she wrote it. “I wrote this book because I wanted to share with parents that there are gentle ways to encourage good behaviour, and to give them practical skills”, says Elizabeth. “Parents want well-behaved children, and children truly want to please their parents but they need to be shown how. It helps if parents understand what good discipline is, and how to encourage, guide and teach children. “Discipline is indeed a much-misunderstood word. It has absolutely nothing to do with punishment, which is never helpful. The word discipline simply means ‘teaching’. [A ‘disciple’ is one who learns.] As adults we have to teach children about the world and give them guidance. This learning experience can be positive and doesn’t need to end in misunderstandings, tears and unhappiness. In fact when we treat children in such a way that they end up crying, it is probable that the child is so upset that they are not able to listen to us anyway and so are not learning anything useful”. When there’s misbehaviour – first solve the real problem. Sometimes children misbehave because they are experiencing strong feelings and emotions that make them unable to listen to us. It is important that we recognize the underlying issues that can cause children to misbehave. They include the following – tiredness, hunger, frustration, boredom, confusion, excitement, impatience, jealousy, pain, sadness, fear, stress, and the need for our loving attention. When we can discover and understand the child’s underlying emotions we can assist them to work through their feelings, says Elizabeth. This way we are not left dealing over and over with a symptom of the problem (the behaviour) but will be addressing the real problem itself (the cause) at its root. When we uncover the real cause of the behaviour, then it can be resolved. Often when parents don’t want children to do something, it’s not the act itself that is a problem, but the child’s timing. So instead of dwelling on words like, ‘no’, ‘you can’t’, or ‘stop it’ (which may end in tears) we can tell children when they ‘can’ (which leads to cooperation). When you put your pajamas on, then we can read a story. After you eat your lunch, then you can have a sweet. You can play outside after you clean up your toys. Like adults, children don’t like being ordered around. But they do love being given choices and being allowed to decide what they would like to do first. When offering choices to your child, make sure that the choices achieve the aim you want. What would you like to do first, brush your teeth or put on your pajamas? Would you like to put on your blue pants or your red skirt? Would you like 10 more minutes of play or story time? Children see life as a big game – by making things fun, we can get things done and have children enjoy doing them. Instead of our ‘serious’ voice, we can use a ‘fun’ voice. SERIOUS: “Pick up your toys and put them into the box”. FUN: “I’m going to pick up the blue cars. Can you pick up all the red ones”. SERIOUS: “Come on. Walk faster. We need to get home”. FUN: “Here comes the potty-train. All aboard for potty-town station”! Toddlers often hate being restrained for nappy (diaper) changes so it helps to make it fun. If your toddler doesn’t want to stand still or runs away, get the nappy to talk to him. PARENT: Picks up a nappy and holds it like a puppet. “Hello Ryan, I am Nikky Nappy. Would you like to come and play with me”? RYAN: (Runs over to nappy puppet). “Hello Nikky Nappy”. PARENT AS NAPPY: “Come and lie next to me. Would you like to wear me? Oh, good, this is fun!” (The nappy talks to Ryan while he is being changed). Say what you want – make it brief and clear, and assist if needed. In an effort to be good parents, sometimes we say too much. After about the third sentence, children may tune us out. It helps to state very briefly and clearly what we want. To get children moving, make it a game. Remember it’s okay to have fun and it’s okay to be firm too. Give eye-to-eye contact. Get down to the child’s level and look at him. This works better than calling out instructions from a distance. Say what you mean and describe what you want clearly. Don’t make threats or use empty words. Be polite. We appreciate it when people say please and thank you – so do children. Use encouragements and kind words. Like all human beings, children respond well to positive attitudes. They learn more from encouragement than from repeated corrections. Stay calm. Anger frightens children and takes away their ability to listen, concentrate or cooperate. Follow through with action. If you toddler is not able to carry out your request alone, help him by saying, “Let’s do it together”. Be consistent. Children feel secure when they know what to expect. When you can, make things fun. Happy children find it easy to cooperate and behave well. Laughter is a wonderful way of releasing tension and defusing situations. Children love stories. They can be used to explain in advance to a child about a situation he will encounter and how he will be expected to behave. The week before a visit to his grandparents, you can tell your child a story every day about a little boy who goes to Grandma’s house for dinner, and how he says please and thank you. They all have a good time and his mom and dad are so proud of him. Stories can also be used to prepare children for situations where they may be scared. You can tell your child stories about a puppy who goes to the doctor for a checkup, a dinosaur who visits the dentist or a penguin’s first day at play school. Allow the child to add to the story, and talk about any things that may scare or puzzle her. Give information, explain what will happen, and include any behaviours or life-skills you are trying to teach your child. Sooner or later, something is going to trigger an angry reaction in us. It is normal to feel anger from time to time and becomes a problem only if we act on our anger and start yelling at children or hitting them. So it helps for us to know when we are getting near the end of our tether, and recognize the warning signs. Try to find a safe way to release your anger without aiming it at your child. Talking to your child about anger when you are not feeling it can also help to prepare them using ‘Mother-speak’: “When mommy gets angry, Mommy may need to go to another room to cool down. What could you do while you are waiting for Mommy to cool down? Mommy really wants to be calm and not get mad or yell”. 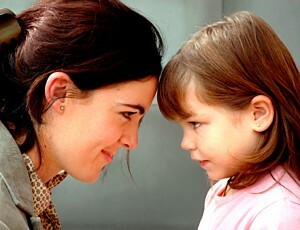 If you have been angry, reassure the child afterwards that the anger is over and it wasn’t her fault. You would be stunned to know how much negative behaviour you actually prevent from happening when you understand the underlying feelings that make children misbehave. Our ability to understand the child’s feelings also strengthens the parent-child bond and creates a strong foundation for teaching and learning good behaviour. “I had a lovely babyhood with my mother. But later, with my father, it was a different story -– he would become angry and hit both my sisters and me. As a mother now, with four children of my own, the memory of him beating my little sister still brings tears to my eyes. The odd thing about it is that both my sister and I remember the spankings -– but neither of us can recall what the behavior was that caused them. We know that our father must have been trying to teach a lesson. The lesson, however, has been lost. The painful memory of the spankings is all that remains. Build a foundation of love, trust and respect with your child. We are all learning – so give yourself more credit when you get it right. Let your heart win out over the voices of people who give you insensitive and unwanted parenting advice. See the world through your child’s eyes, and remember children think differently from grown-ups – enjoy the magic of that. Discipline doesn’t have to be unpleasant to be effective – it can be fun for both parent and child. Remember that anger is not a bad emotion, it is just a human emotion we have when we feel powerless or frustrated. Children are human — so are parents. It’s always okay to say we are sorry if we “lost it” and sets a good example that children will copy. Live in the moment! Treasure the times you can play with your child, not having to watch the clock. Enjoy your child. Listen to her ideas, enjoy the enthusiasm of her imagination and cherish the little person that she is. Elizabeth has called her book the ‘No cry’ Discipline solution. She isn’t implying that we shouldn’t allow children (or babies) to cry in our loving arms when they are sad or upset. When we are sad, crying in the arms of a loving parent or friend is how we all heal from hurts. What she is saying is that that we should never treat children in hurtful or unkind ways that cause them to cry. Children find it hard to behave well if we upset them and make them feel bad about themselves – they behave better when we help them feel better. This entry was posted in Toddlers and tagged aware parenting, gentle discipline, make it fun, parenting, teaching. Bookmark the permalink. Rereading this article has just reminded me of my friend Marianne’s journey to find a way to do “gentle discipline” with her children, at a time when everyone believed in spankings and time-outs. She has shared her story here. When you fail, if someone gives you a verbal explanation why you were “wrong,” you feel shame, anger and a need to defend. Feeling bad is not helpful to you. Your child is the same but more so; he is a sensitive human being in formative years, yearning for your approval and love and dependent on it for self image. Feeling bad about oneself (when you scold or even explain gently) may cause a child to behave supper good temporarily, and we are fooled then to think that the “explanation” or “correction” worked. Yet, the child’s “corrected” behavior is only a result of fear based compliance, not of internalizing a different way of being authentically. To change the behavior, the valid cause has to be removed with love, care, kindness and a desire to understand. In other words, it is we, not the child, who need to make a correction such that the cause of the child’s behavior would not exist. When we “correct” the child we disconnect. When we connect, we understand and can correct ourselves and be truly and lovingly helpful. Instead of expecting the child to “understand”, it is best to turn it around to ourselves. We should understand why the child is driven to behave a certain way, and we should correct what is obviously causing the situation or, when not possible, connect with love, validation and compassion. When responding from love and connection, the cause becomes obvious and often easy to remedy. Our kind action is the teacher.